Fresh Dressed is the fascinating chronicle of hip-hop, urban fashion, and the hustle that brought oversized pants and graffiti-drenched jackets from the New York discount markets to high fashion’s catwalks and shopping malls all around the world. Rolling Stone - "[A] treasure trove of a doc"
With funky, fat-laced Adidas, Kangol hats, and Cazal shades, a totally original look was born—Fresh—and it came from the black and brown side of town where another cultural force was revving up in the streets to take the world by storm. Hip-hop, and its aspirational relationship to fashion, would become such a force on the market that Tommy Hilfiger, in an effort to associate their brand with the cultural swell, would drive through the streets and hand out free clothing to kids on the corner. 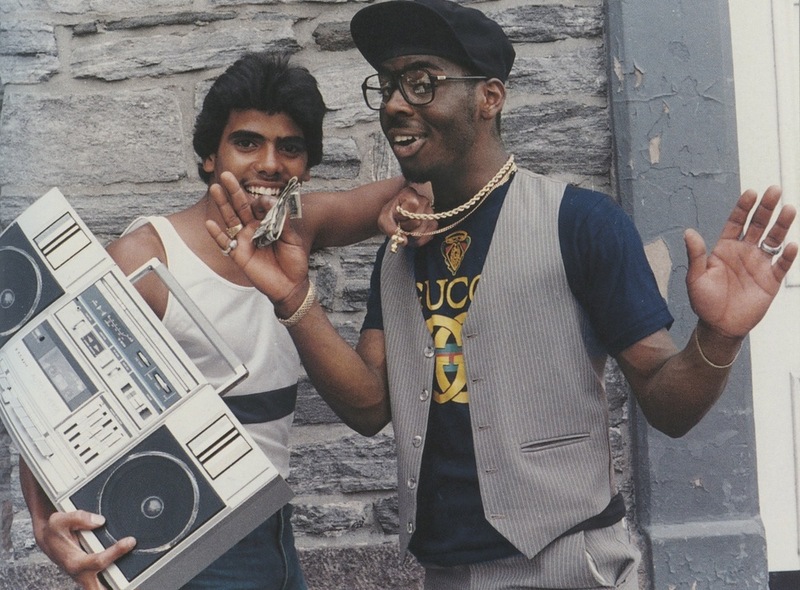 Fresh Dressed is the fascinating chronicle of hip-hop, urban fashion, and the hustle that brought oversized pants and graffiti-drenched jackets from the New York discount markets to high fashion’s catwalks and shopping malls all around the world. Reaching deep to Southern plantation culture, the black church, and Little Richard, director Sacha Jenkins’ music-drenched history draws from a rich mix of archival materials and in-depth interviews with rappers, designers, and other industry insiders, such as Pharrell Williams, Damon Dash, Karl Kani, Kanye West, Nas Jones, and Andre Leon Talley. The result is a passionate telling of how the reach for freedom of expression and a better life by a culture that refused to be squashed, would, through sheer originality and swagger, take over the mainstream. Sacha Jenkins, a native New Yorker, published his first magazine—Graphic Scenes & X-Plicit Language (a ‘zine about the graffiti subculture)—at age 17. By age 20, Jenkins would publish Beat Down, the first-ever hip hop newspaper. Thereafter, Jenkins would go on to be the music editor at Vibe magazine, and write about artists like Kid Rock and 50 Cent for Rolling Stone and Spin. In 1994, Jenkins would co-found music journal ego trip—hip hop’s most respected critical voice. ego trip would go on to produce two books—ego trip’s Book of Rap Lists (St. Martin’s Press) and ego trip’s Big Book of Racism (Reagan Books). In 2000, Jenkins was awarded a fellowship to the graduate school of journalism at Columbia University (The National Arts Journalism Program); it was Jenkins’ rich knowledge of the history of New York subway graffiti that would deliver him to the ivy league. Recently, Jenkins has worked as a television producer, building his strong reputation as a creative via shows like Cartoon Network’s The Boondocks (creative consultant) Vh1’s The White Rapper Show (executive producer) and Miss Rap Supreme. Jenkins released two books in 2008-- Piecebook: The Secret Drawings of Graffiti Writers (Prestel) and the New York Times best seller The Way I Am, Eminem’s authorized biography (Dutton/Penguin). In 2013, Jenkins is releasing two books—The merciless Book of Metal Lists (Abrams) and Skin Graf (Prestel)—in addition to releasing a full length album with his hard rock band The White Mandingos. Jenkins is also the Creative Director for Mass Appeal magazine, a periodical some have dubbed the “National Geographic for urban culture.” Jenkins is also in the throes of two more book projects—the recently released Training Days, a book about early subway graffiti with noted documentarian Henry Chalfant, and a book about the Beastie Boys with surviving members Michael “Mike D” Diamond and Adam “Ad Rock” Horovitz.